New Delhi : Indian soldiers killed two militants who attacked Army camp located in Handwara in Jammu and Kashmir on Thursday morning. The massive search operation has been launched in the area to catch the other hiding militants. This comes barely four days after a similar terrorist attack was reported from Baramulla district in Srinagar. The militants opened fire at the 30 Rashtriya Rifles camp in Handwara. The first round of gunfire lasted for 30 minutes while second round was reported at 7 am for 15 minutes. # Militants opened fire at an Army camp in Handwara in Jammu and Kashmir on Thursday morning. Four days back terrorists made an attempt to break into the 46 Rashtriya Rifles camp at around 10.40 pm. 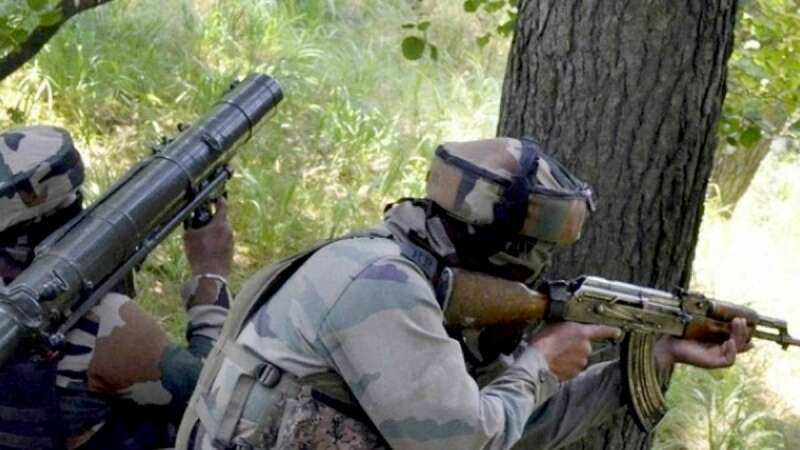 Three-hour long gunfight ended after one Indian soldier was martyred and two militants were gunned down. The Army and other forces have been subjected to a series of attacks after the Uri attack which claimed the lives of 19 jawans.